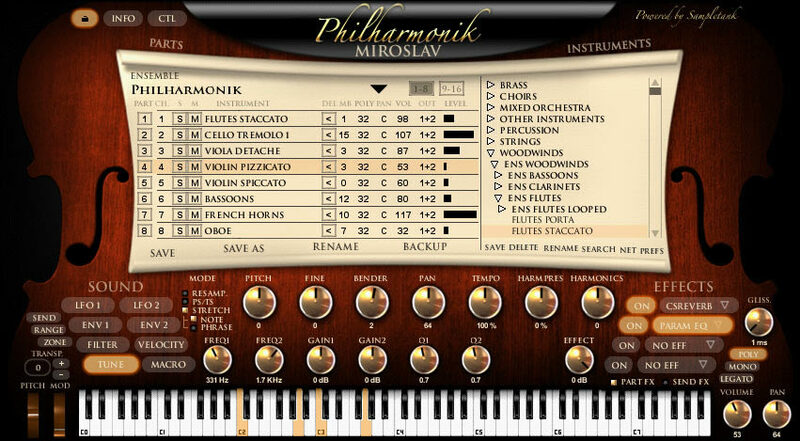 Miroslav Philharmonik by IK Multimedia is a Virtual Instrument Audio Plugin and Soundware (e.g. samples or presets that load into other products). It includes, and is therefore "powered by", SampleTank, which functions as a VST Plugin, an Audio Units Plugin and an RTAS Plugin. This product is "Powered By" SampleTank. The OS and Format icons listed below should be accurate for the latest version of SampleTank. IK Multimedia and Sonic Reality acquired the Miroslav Orchestral Sample Library, including the complete legendary Miroslav Orchestral and Choir sample collection, as well as a vast unreleased high resolution archive of orchestral and vocal samples. Miroslav Philharmonik is a powerful integrated Orchestral Workstation plug-in combining the Miroslav Orchestral and Choir sample collection masterpieces with a dedicated plug-in instrument specifically tailored toward classical sounds and arrangements. 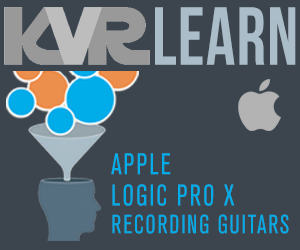 Available as a VST, RTAS, DXi, AU plug-in for Mac OS X and Windows. I bought Miroslav Philharmonik Orchestra (MPO) twice: once as the limited CE version and then the complete version. This review was originally a thread response, but it's extensive enough to be a review so I decided to post it here. The obvious difference between the Full and the CD versions of MPO is basically that with the full version you get more of everything: more playing gestures, more ensembles and many unlooped sample sets which often sound better than the looped ones in CE. So the full includes all the CE samples and adds proportionally more. However, CE is still an excellent sampling of the Miroslav sound and is IMO more than enough for a casual user. In terms of overall quality, this library is somewhere between GPO and EWQLSO in terms of scope, and I support the opinions of many about its warm and lyrical nature. In comparison, I find many sounds in GPO bland, and while EWQLSO is clearly a much broader library, some of the sounds in MPO are surprisingly more compelling. It's almost as if MPO was crafted by a musician while EWQLSO was crafted somewhat more by an engineer. While some of the "warmth" factor can be explained by technical reasons, it's clear that painstaking care was taken in the capture of these samples both in the consistency of the sample to sample recording and in the playing of the instruments, which is often imbued with clearly musical interpretation and sensitivity. But for this reason some will find that many MPO instruments have too much of their own character; in general I like its inherent musicality but sometimes vibratos can be excessive and lead-ins aren't ideal, making some patches less useful in certain contexts. The strength of this library is definitely the strings and some of the solo instruments. There's a lot more ensemble string variations in the full version. There's also many combination settings of orchestral groups or mixed groups that can be very useful for throwing together quick mockups (an additional collection of very useful Combis is provided by esoundz as a separate download). As usual for a cheaper library, Brass is very acceptable but not great; one glaring omission here is FF sustained Trumpets. The additional instruments like Pianos, Harps, Guitars, Pipe Organs, etc are nice and usable in many contexts but none are spectacular. The choir is definitely dated, and many of the percussion instruments are very usable too although many of them lack the clarity, sparkle and depth of more recently libraries. That's true in general about MPO but again it's also part of its warmth and charm. As others have noted, the greatest weakness of this library is the lack of any form of key switching. I can imagine cobbling together something in Bidule to do this with multiple MPO instances, but it's not like that out of the box. ***Update: a KVRist pointed me to "Yki's MIDI Channel Keyswitch" (google it) for Cubase and Nuendo: it's a keyswitching MIDI plugin and it works very well with MPO (Thanks Baard!). Make sure you get the extra combis provided by esoundz: the "Multi Setups" are patches with the different instrument articulations already assigned to different channels. One sore spot for me is the size of the GUI. I'd love to see the sound "tree" much more expanded as I constantly have to scroll to see what's revealed, and the setup and editing controls would be clearer and better organized within their own GUI's, or in larger areas of the main. Another GUI issue is that the "Instrument" column is too narrow to accommodate the complete name of a good number of the patches, forcing you to use the "Unload" button just to read the complete name. Clearly, the GUI could use an update as many users are using larger and higher resolution screens. I agree with you that the sound does sound great, I however have pooping/cracking noises whenever I try to use it with FL studio, even when adding a single track. This does not happen in the standalone version but its unusable for me standalone. Have you experienced something similar with your DAW? Pooping Noises hahaha!!!! Try using ASIO4ALL if you havent already. Long story short, its a free audio driver that helps with certain audio problems like your experiencing.